Paul and Wilma extend a warm and friendly welcome to their Silver Commended Awarded (WHRA) Bed and Breakfast where we offer quality accommodation. 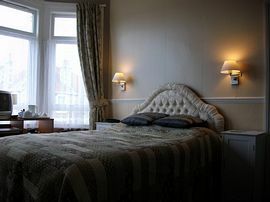 All our rooms are en-suite and have been refurbished to a high standard and in a contemporary and neutral style of décor to provide a comfortable and relaxing stay. The Winter Gardens and Playhouse are also close by. Not forgetting the seafront that has undergone massive improvements and provides long, wide, flat areas with views of the Bristol Channel, Wales. Steep Holm and Flat Holm are in the bay however we are not far from the countryside either. 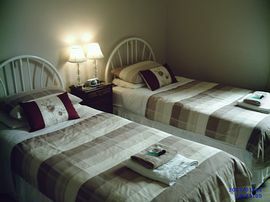 All the rooms have toiletries, multi-channel t.v. 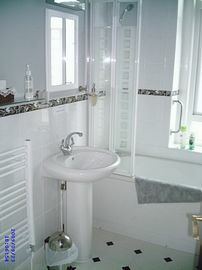 hairdriers, welcome trays and free Wi Fi. We cater for singles, couples, families and small groups. 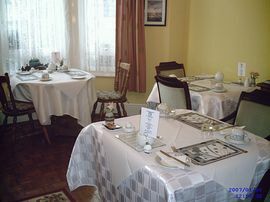 Breakfast is served between 0800-0900 in a light and airy dining room on individual tables. We can cater for some specific diets if we know in advance. Otherwise we offer a full, cooked breakfast of sausage, bacon, egg, beans, mushroom, tomato and potato. For the smaller palate any combination of the above or yoghurt, fresh fruit, cheese, selection of cold meat and breads. We also have cereal, toast, fruit juice, tea and coffee. Eggs can be fried, poached or scrambled. Tomatoes can be tinned or fresh and we buy local produce where possible. Prices may vary at certain times. Please give us a ring, contact details below for more information. If booking in advance, we require a 50% non refundable deposit by cheque to reach us within five working days of booking and the remaining balance paid two weeks prior to arrival if paying by cheque or cash on arrival. Come off at Junction 21 of the M5 to Weston on the A370. After 3rd roundabout,turn right onto Hutton Moor Road past leisure centre on left and rugby club on right over hump bridge to traffic lights. Turn left onto the B3440 Locking Road. We are on the left approximately 500 yards on the left just past the Esporta Health Gym. 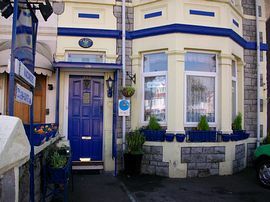 Look for house with royal blue railings and porch.